What's New For The New 2019 Audi TT? Twenty years after it was first introduced, the Audi TT still has an unmistakable look and great handling. The 2019 still retains those unique touches like the curved lines and round fuel door, but it has a beefed up inserts in the front bumper and faux vents below the rear lights. The differences lie predominantly under the hood and inside the cabin. There are a few different trims to choose from, and there are new standard features that should make it even more of a pleasure to drive a TT. 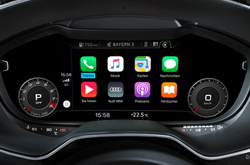 Dynamic handling, heated mirrors, rain sensors, and the Audi virtual cockpit are some of the main features that drivers can appreciate whenever they hit the road. Further, the dual-clutch automatic transmission now comes with seven speeds rather than the previous six. The differences between the TT and the TTS mainly lie in the interior touches and the engine. The TTS can be a more aggressive car with its additional power, and it comes standard with Quattro all-wheel drive, 18" wheels, and the seven-speed S Tronic transmission. With the TT, you can either have a six-speed manual or the seven-speed transmission, and the 17" wheels are standard. In either of these, you can either ride in a roadster or a coupe. 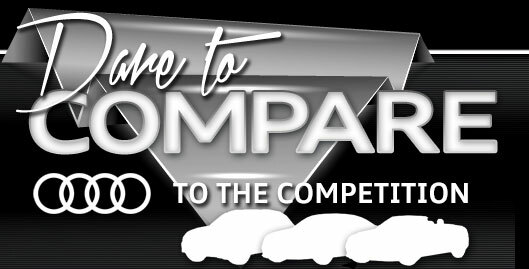 If you opt for the Competition package, your car will come with a sport screen in the virtual cockpit, contrasted color stitching on the seats, 20-inch alloy wheels, and a flat-bottom steering wheel so that you'll feel like you're on the track whenever you get in. There is a 2019 special 20-year anniversary edition of the TT. It's painted in Arrow Gray, has a brown leather interior with contrast stitching similar to the style you would see in a baseball love, stainless steel tailpipes, and Matrix OLED taillights. It's important to note that only 999 of them were made, with 80 of them having been sent to the U.S. 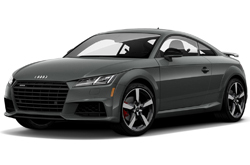 The 2019 TT is powered by a turbocharged, 2.0-liter inline-four engine with 220 horsepower and 258 pound-feet of torque. The TTS version has even more kick, with 292 horsepower and 280 pound-feet of torque. Both of these engines display plenty of punch are capable of turning up the power on demand. 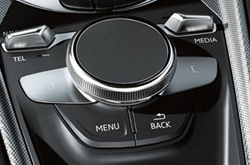 The shift paddles on the steering wheel let drivers have complete control over their cars, and the quattro all-wheel drive system enhances traction and grip. The Audi TT comes with several built-in safety mechanisms. 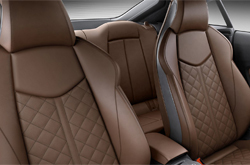 They include a dual set of front, side, and knee airbags along with pretensions that can automatically tighten seat belts during collisions. The responsive anti-lock brakes will adjust the brake pressure to prevent them from seizing up. The Audi stability control system can sense when the driver is on the verge of losing control and then automatically reduce power and/or apply brakes. To get more information on the amazing Audi TT, visit our dealership in Springfield and take a test drive. Please call 844-869-7231 for further assistance.